An accountability court in Islamabad has summoned two witnesses in the case against former finance minister Ishaq Dar to reappear before the court on February 20. 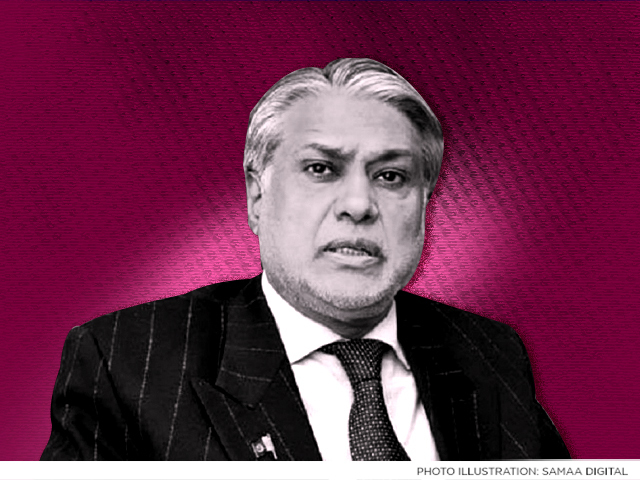 The court is hearing a case regarding Dar’s assets beyond his known sources of income. Securities and Exchange Commission of Pakistan (SECP) official Sidra Mansoor and Deputy SECP Registrar Salman Saeed have been summoned again to appear before the court on NAB’s appeal. The court also reserved its verdict in former National Bank of Pakistan president Saeed Ahmed’s acquittal request. Ahmed is accused of being an accomplice to Dar’s alleged crimes. The former minister is currently the UK and the Pakistani government is seeking his extradition. I fail to understand WHY this thieve DAR was allowed to travl abroad knowing that NO thieve goes back to Pakistan to face the justice,AND now they CAN NOT get him back even through INTERPOL.what A SHAMEFUL law WE HAVE.freeze HIS ALL THE ASSETS IN Pakistan.